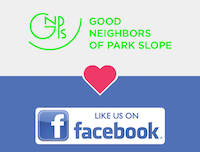 Good Neighbors of Park Slope does not promote, endorse or advertise for any private business. However we do partner with local businesses who want to share their expertise or present information to our members and the public. This event is free and open to the public, but you must register.